Come and Enjoy the Best BBQ Around! 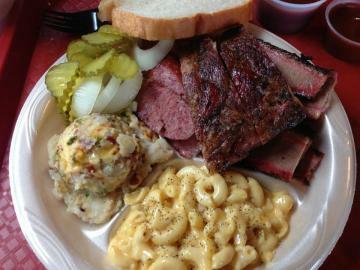 Looking for some good down-home BBQ and southern dishes? You have found the right place! Hinze's Bar-B-Q serves country fried steaks, homemade pies, the finest BBQ around and much more! Call To Order Our Spices! We Can Ship To You! We will temporarily be closing on Mondays to devote more time to perfecting your dining experience with us! As many of you have heard, Hinze's Bar-B-Que suffered a fire which unfortunately destroyed our restaurant. We welcome all our friends and customers to come see us at our new location!